Dr. Hamm studied at Texas A&M University, then earned a bachelor's of science degree in dental hygiene in 1980 from Baylor College of Dentistry. She continued her education at Baylor College of Dentistry, completing her DDS in 1988 and was recognized on the dean's list. 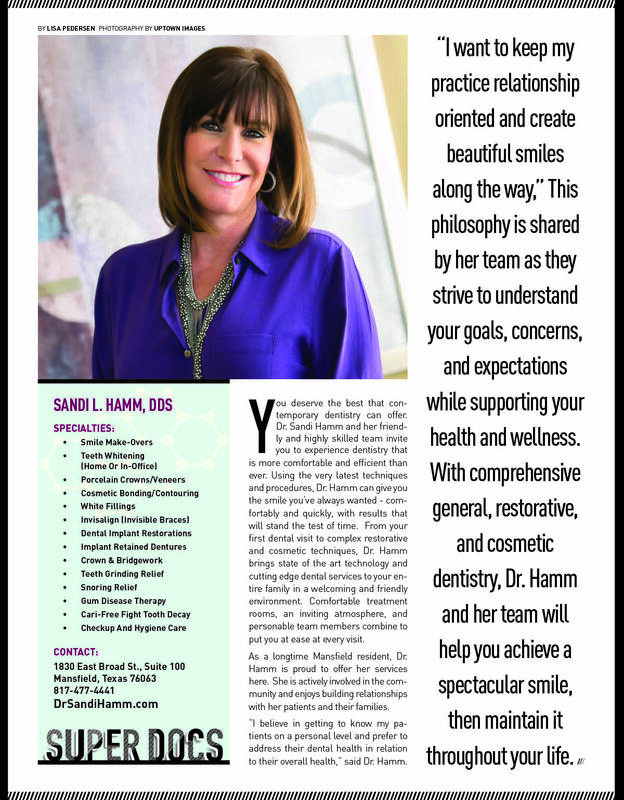 Dr. Hamm has improved smiles for Dallas-Fort Worth patients for 20 years. She pursues postgraduate training regularly and is a member of several study clubs. By constantly seeking the latest information and education in dentistry, she brings her patients contemporary dental solutions and state-of-the-art technology. Dr. Hamm holds membership in the American Dental Association, Texas Dental Association, and Dallas County Dental Association. An active member of her community, Dr. Hamm participates in business, school, and church events. She has lived in Mansfield since 1992. When she isn't building beautiful smiles, Dr. Hamm enjoys Pilates, traveling, and spending time with family and friends.